Situated right on the coast of sunny Queensland is Gladstone, and in the heart of town is the newly upgraded swimming facility. 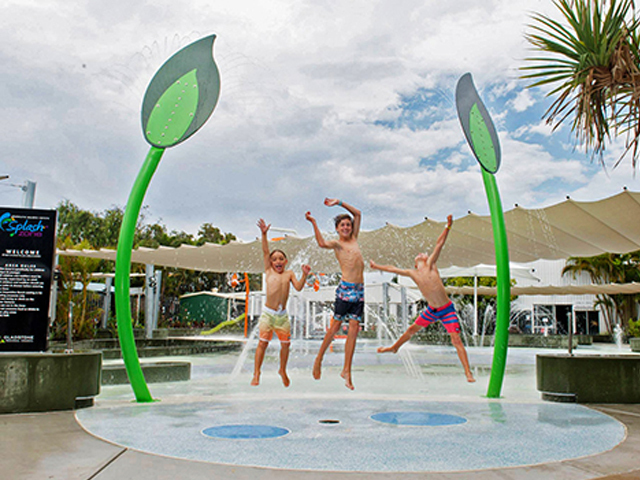 The upgraded Gladstone Aquatic Centre features an outdoor 50m Olympic swimming pool, a 25m indoor heated pool and a water play park, and attracts people of all ages who wish to escape the heat and relax. However the extreme UV rays creates a real risk of skin damage from the sun. 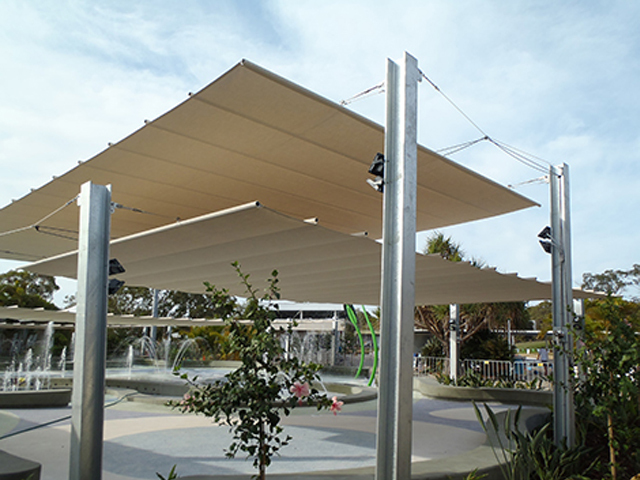 The solution was to provide flexible and adaptable shading in the form of five retractable Shaderunners®, creating the ideal outdoor environment. 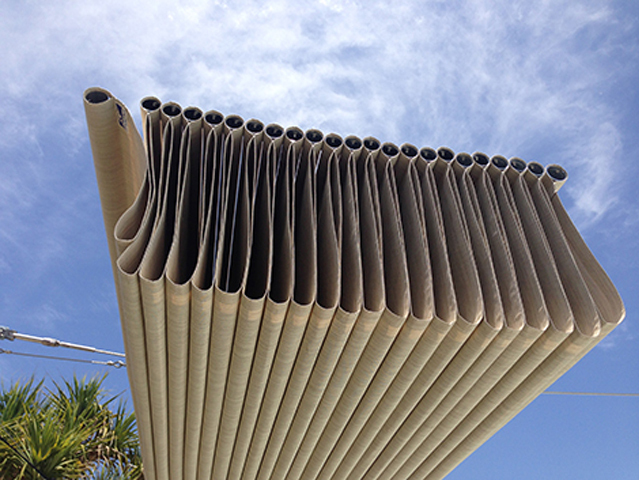 The Shaderunner® was chosen as the perfect solution to provide a comfortable environment for patrons in the hot tropical climate. 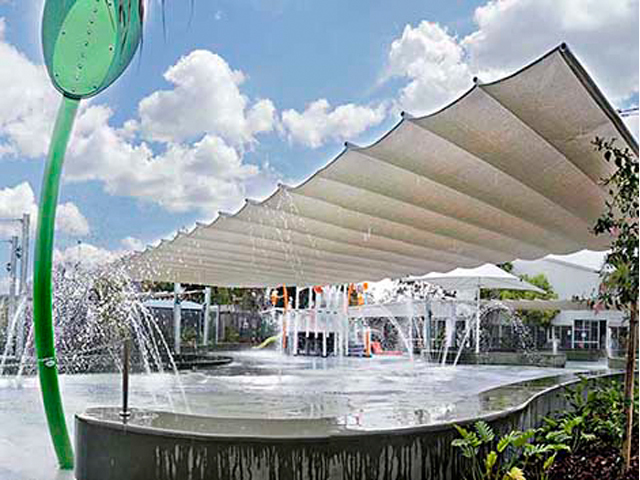 With extensions of over 20 metres, the Shaderunner® is able to span wide sections of pool area, without intermediate columns or intrusive structure. With the use of a simple pulley system and manual winch, the sail is able to be fully retracted when desired. This fantastic ability creates the option of opening up the Shaderunners®, allowing much-needed natural sunlight on colder days, and making Gladstone Aquatic Centre a family favourite all year round. For a full list of products and services, contact Shadeform or visit their website via the links below.